It was a very momentous occasion for Saunaka Rugby Club members as they celebrated their 50th anniversary at the village last Friday. “We played for different teams before the Saunaka Rugby Club was formed in 1964. I played for Western Marine (Narewa) and my brother Api played for Gaunavou (Navoci). He said a lot of players from Saunaka and Nadi contributed to the improvement of Fijian rugby. This included former Fiji reps Apakuki Tuitavua and Ratu Josateki Sovau, who was also a former national coach. “They were captains and later coached the team. In the 1970s, I was the captain to the tour to Europe. During our days, there were five players from Saunaka who could be in the Fiji team. That is missing nowadays,” he said. 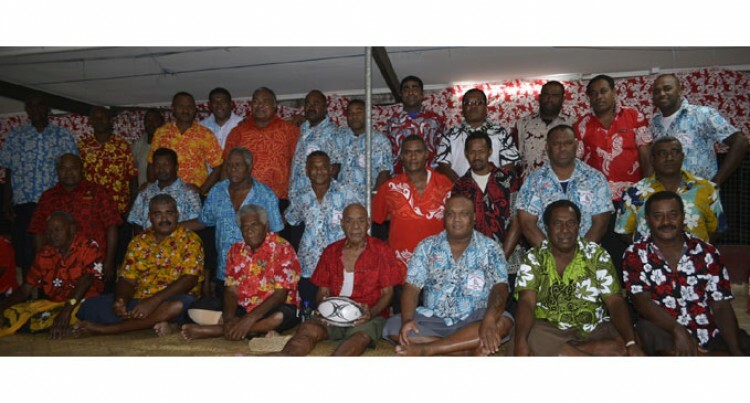 Others include the Ravouvou brothers – Viliame, Vatemo, Ilaitia, Ilaisa and Nasivi, Bosiga brothers of Rasolosolo and Toga brothers – Apisai, Sela and Avenai. The late Apisai Toga then became the first iTaukei to play for the St George Rugby League Club in Australia. Club president Solomoni Qurai said the celebration was to encourage current players to work hard and reach benchmarks set by their elders, some of them who had p-assed away. “We are here to remember those days of 1964 were rugby started for the vanua Naua,” said Qurai. He said they raised over $4000 that will assist the club next year. “The money raised will be used to upgrade our gym; Saunaka was the first club to set up its gym in Fiji,” he said.